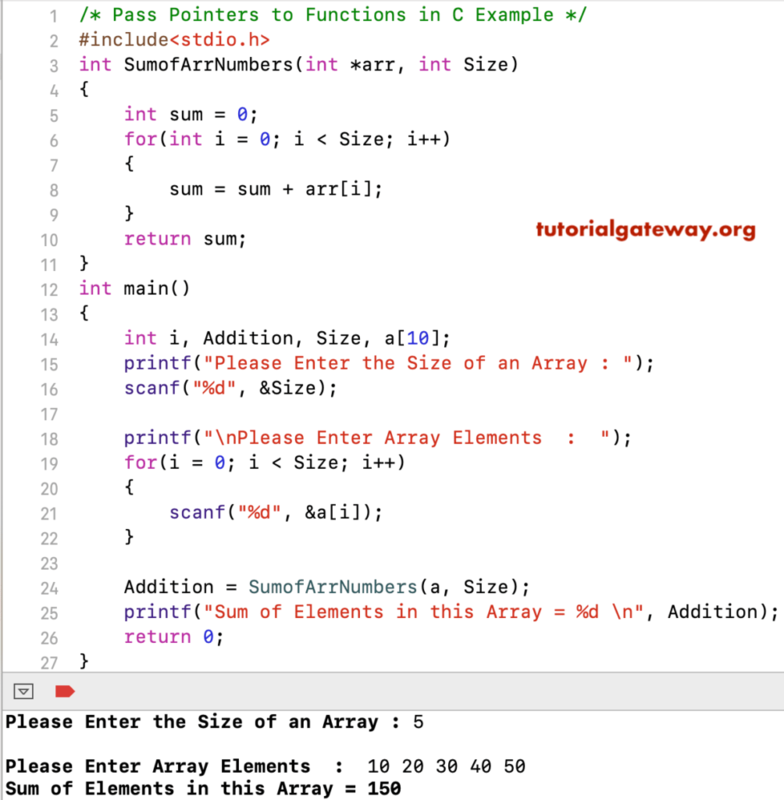 In this article, we will show you, How to write a C Program to pass Pointers to Functions. Or How the Pointers to Functions in C programming work with a practical example. TIP: Suggest you refer, Call By Value and Call by Reference and Pointers article to understand the function arguments, and pointers. Like any other variable, you can pass the pointer as a function argument. 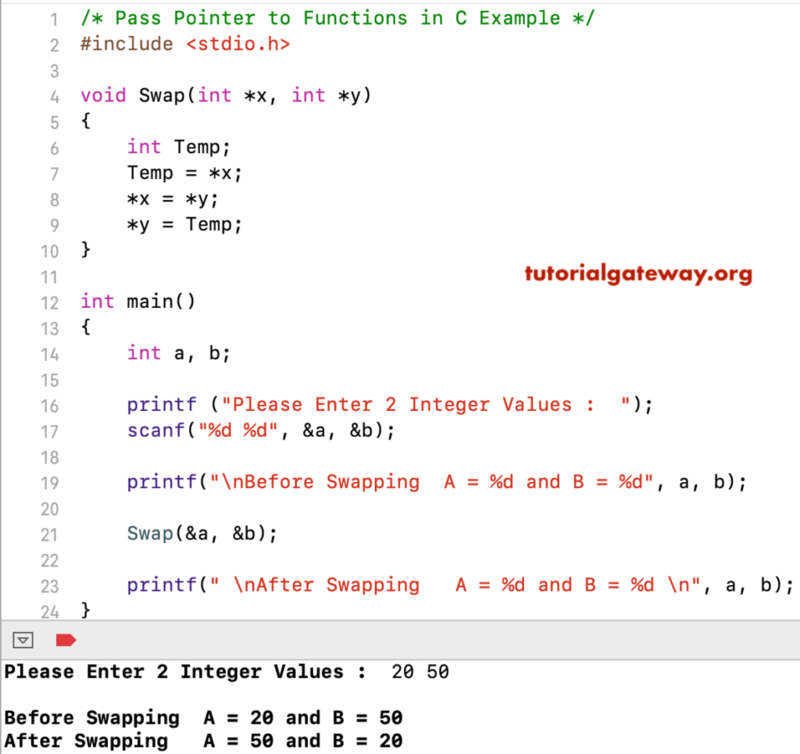 In this Pass Pointers to Functions in C program, we created a function that accepts two integer variable and swaps those two variables. I suggest you refer, C Program to Swap two numbers article to understand the logic. In this Pass Pointers to Functions in C program, we created a function that accepts the array pointer and its size. I suggest you refer C program to find Sum of All Elements in an Array article to understand the function logic.